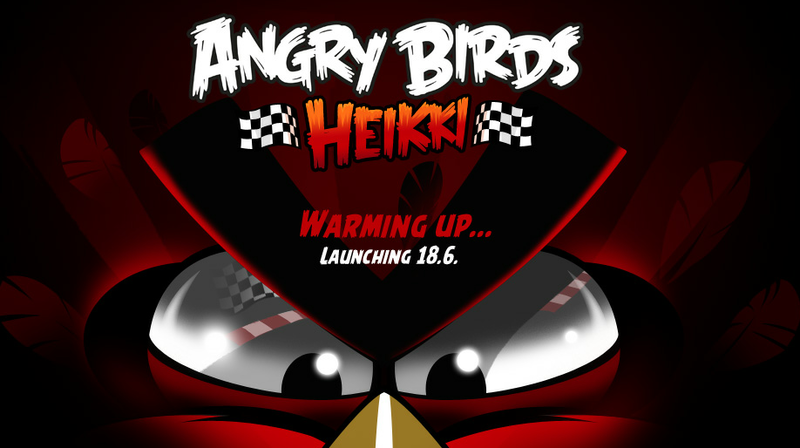 Rovio might be looking beyond Angry Birds with the announcement of its new ‘Amazing Alex’ franchise but the company is set to launch a new bird-smashing racing-themed webgame called ‘Angry Birds Heikki’ on June 18. The webgame, which will feature fun Angry Birds game levels with a racing theme in addition to other bespoke content, launching later in the summer. Kovalainen is already sporting a special Angry Birds-themed racing helmet and Rovio has started offering limited edition merchandise (which consists of three hats) on its website. Rovio’s latest game in the Angry Birds range has already topped 50 million downloads on all platforms in 35 days, driving total cumulative downloads for the entire franchise past the 1 billion mark. Racing fans and Angry Birds purists will soon have another title to play, although it will be web-based.